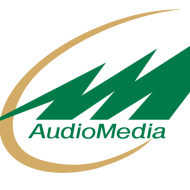 Audio Media was founded in 1994 as a digital recording studio by T. Selvakumar, a well-known musician and personality in the Indian Film industry. It then branched on to sales. Further on in 2002, as an education institute providing Apple Certified courses in Video Editing, Music Production and Audio Engineering. Being the first Apple Authorised Training Center in India we have trained more than 800 students to become Apple Certified Pros. T Selvakumar is the Director and Founder of Audio Media, India's first Apple Certified Trainer in the field of music production, video film editing and visual effects, Sound Engineering, Consultant for Audio Video Facilities and Studio Acoustics. Not many know that Selvakumar himself is a trained musician. He studied Carnatic Instrument Veena at the Satguru Sangeet Vidyalya affiliated to the Madurai Kamaraj University. Equally adept at the Mridangam and the Western classical Guitar, he earned himself a distinction in Chennai, playing the Carnatic classical on the Mandolin. His identification as a Musician Programmer was complete with the emergence of fifteen albums of scintillating music for H.M.V. Selvakumar reached his musical eminence with a Digital Recording Studio in 1993. Subsequently he got into product distribution for music technology in studios and went on to set up at-least 100 studios all over the country. At this juncture his expertise in western classical and related genres stood him in good stead. Audio Media Inc conducts classes in Keyboard, Music and Music Composition. It is located in Alwarpet, Chennai. It takes Regular Classes- at the Institute and Online Classes- via online medium.